Welcome to #testkitchen – where I find random recipes on the web worth working on 🙂 Customizing other peoples recipes helps you to learn how to make your own to fit your nutritional needs. Place herbs on the bottom of the blender, add everything else. Blend until smooth. 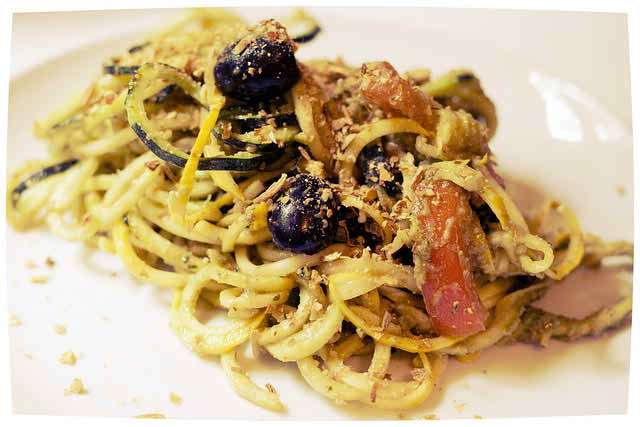 Chop 1 tomato and a handful of olives, mix with pasta and pesto, sprinkle pumpkin seed parm on top!